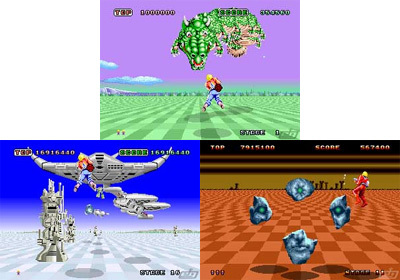 Flying into the screen in a 3D effect, Sega's Super Scaler techinique was quite a jaw dropper in its day. Requires fast reflexes to shoot or avoid the incoming obstacles - ideal for a quick pick up and play. Produced by Out Run, Virtua Fighter and Shenmue developer Yu Suzuki. 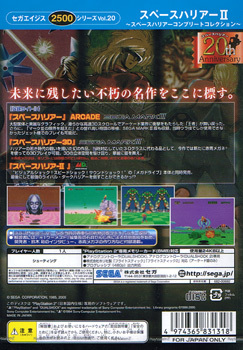 Sadly there were no Master System 3D glasses available for this title, but Sega has included some coloured cellophane to save on the headaches in 3D mode. If only the same could be said for the optional reverse controls... Two other versions include the standard none 3D version and Space Harrier 2. Also includes a gallery of the promotional material. Second hand. 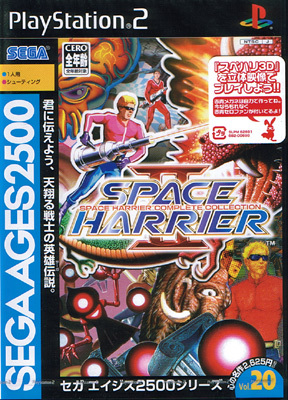 Space Harrier Complete Collection.